Tateossian bracelet in braided leather strands. Sterling silver tube clasp with logo. 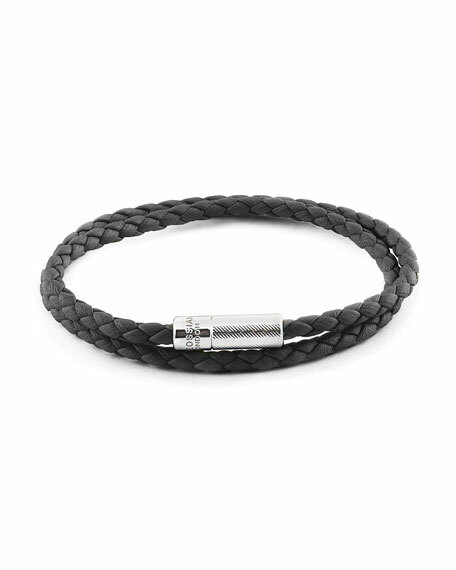 Ermenegildo Zegna bracelet in blue braided calf leather. Medium, 18 cm. Rhodium-plated sterling silver leather-linear bar. Push clasp closure. Made in the United Kingdom.